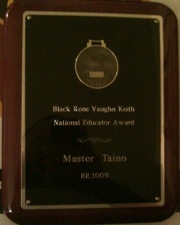 During the last few years, Master Taíno has been recognized for his work in the community. 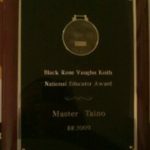 He has received several major awards and has been nominated for multiple others.Master Taíno accepts humbly the awards presented to him, but he always feel that the best awards he receives are the love and respect from his Leather Family and friends from the community and the appreciation of those who he has mentor or touch in more ways that one through the Training Academy, the Master/slave Conference and his workshops around the country. Special Gratitude from the producers of MAsT 99 granted during the Master/slave Conference 2009, Washington, DC, September 4, 2009. 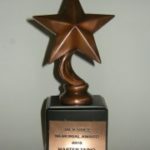 In March 2011, Colonial Kink event started a new award to be granted every year during the event which takes place in Williamsburg, Virginia. 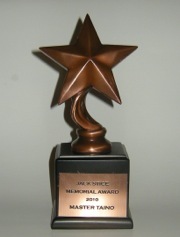 The Award is named “The Master Taíno Walking the Master Way Award”. Master Taíno has been granted several certificates for his contributions to events across the country. 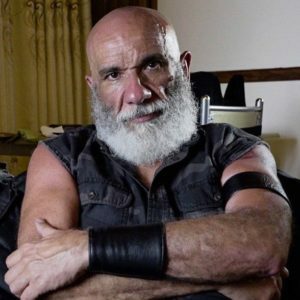 No one is most dear to his heart that the certificate he received as a guest instructor of the Butchmann’s Academy in 2002.